Chris’s areas of expertise include fundraising strategy and systems, staff and resource management, database management, business intelligence and data reporting, database conversion projects, gift and data processing, and technology needs. He has led fundraising operations at Saint Louis University, Saint Louis Zoo, and the Saint Louis Science Center. Prior to joining Zuri Group, Chris was a managing associate at Bentz Whaley Flessner, where he provided strategic counsel on database systems, advancement operations, and fundraising strategy. Chris also served as Research and Development Services director at Saint Louis University, provided leadership for the university’s $300 million campaign, and led an interdepartmental database conversion team. Chris earned a Master of Arts from The University of Kansas and a Bachelor of Arts in Political Science from Truman State University. 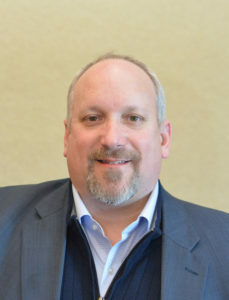 He has been a featured speaker at CASE, APRA, AFP, and other conferences and has written articles for AFP’s Advancing Philanthropy, APRA’s Connections, and AHP’s Journal. His book, An Executive’s Guide to Fundraising Operations (Wiley 2011), is the industry resource for maximizing ROI from operations.